Early settlers in this area were Scottish families who moved over from Tracadie and Irish immigrants who joined them later. A small log church was built at Waterside in 1804 and a second one a few years later near the water south of the present hall. A third church, constructed around 1830 and enlarged in the 1850s, stood close to today’s cemetery. In 1868, the present brick rectory was built, replacing an older one of age unknown. 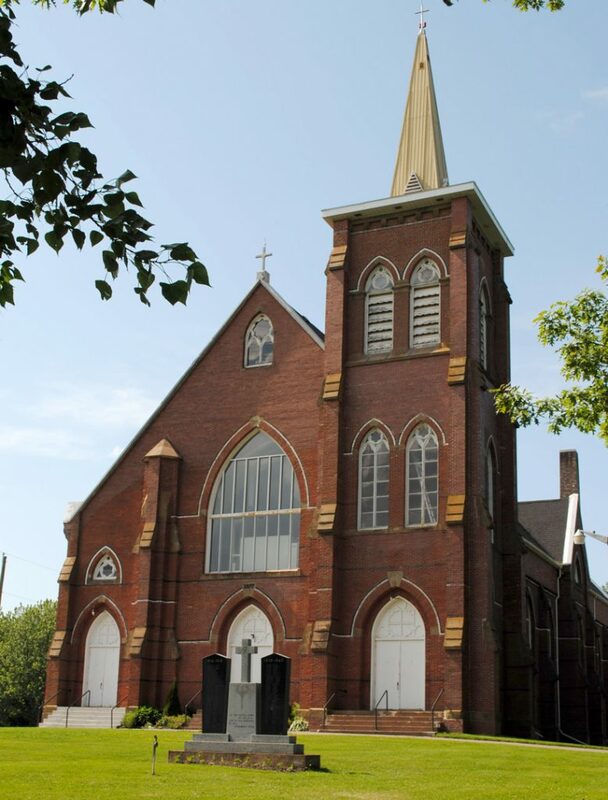 Since 1845, the parish has had a resident pastor. In 1877 began the erection of the present magnificent brick church. It was consecrated by Bishop MacIntyre two years later, with Bishop Walsh of London giving the sermon. In 1902, the majestic pipe organ was installed. A mission church (Star of the Sea) opened at China Point in 1897 and closed in 1970. 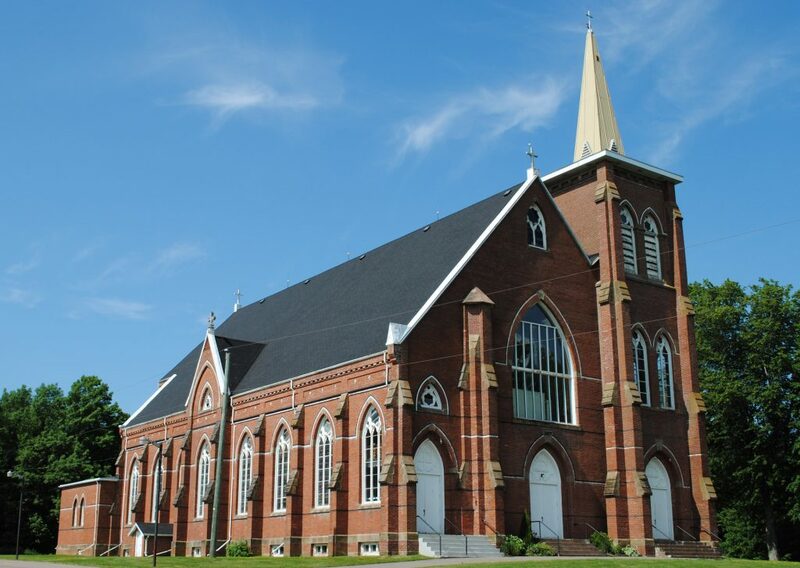 Today, over 300 families comprise the Vernon River Parish which is dedicated to St. Joachim. More than twenty priests and upwards of forty religious sisters have come from St. Joachim’s. Vast areas of primary farmlands abound throughout the area, as well an abundance of scenic waterways. St. Joachim’s is served by Pastor, Rev. Benedict Paulraj, O. Praem.